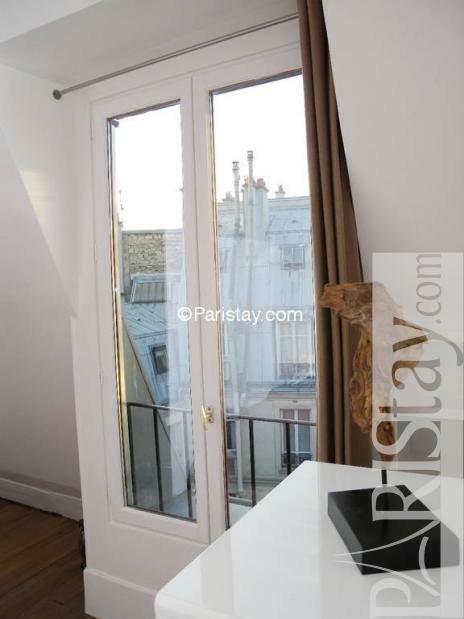 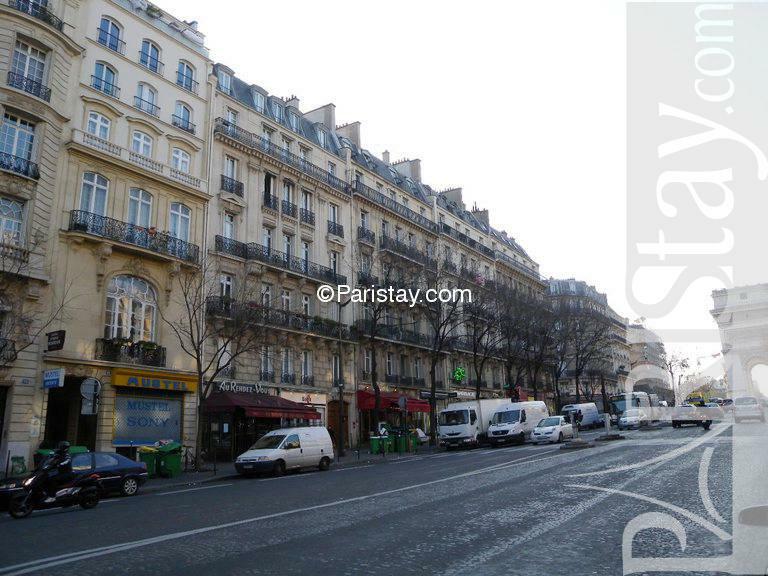 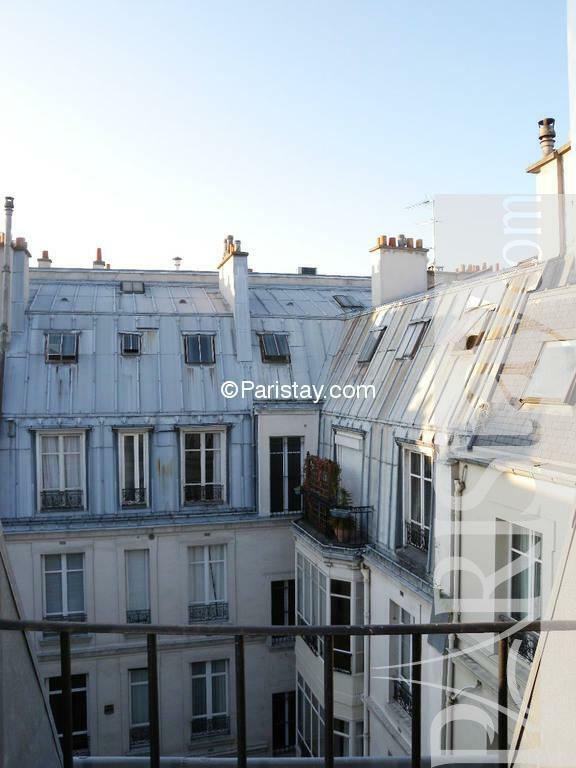 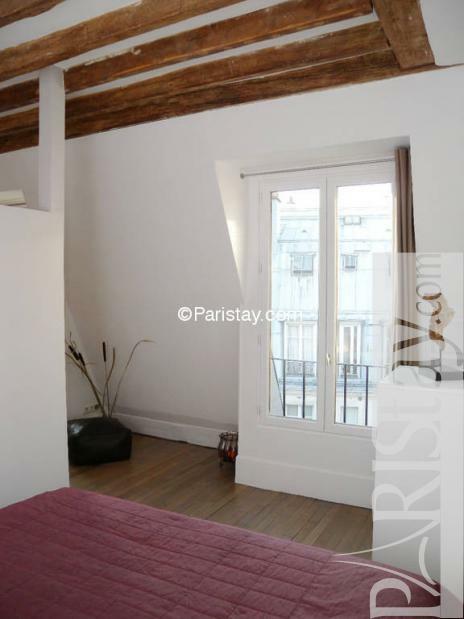 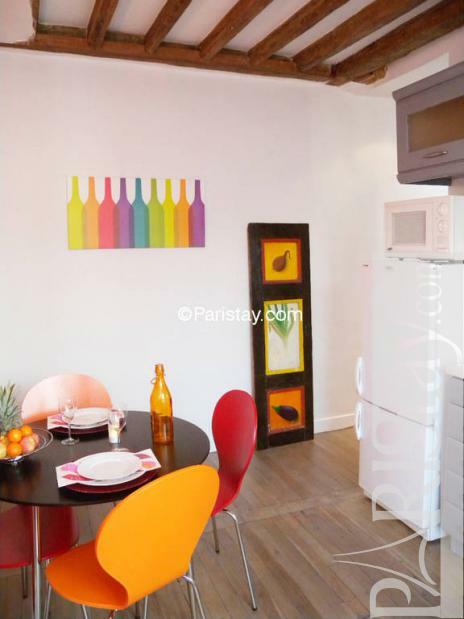 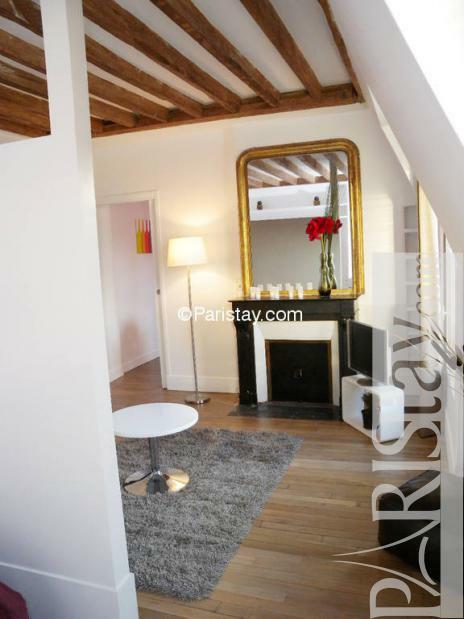 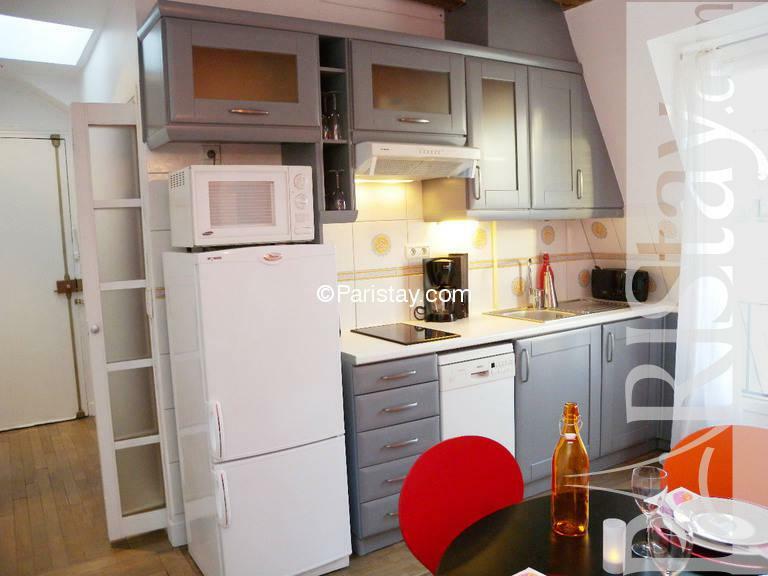 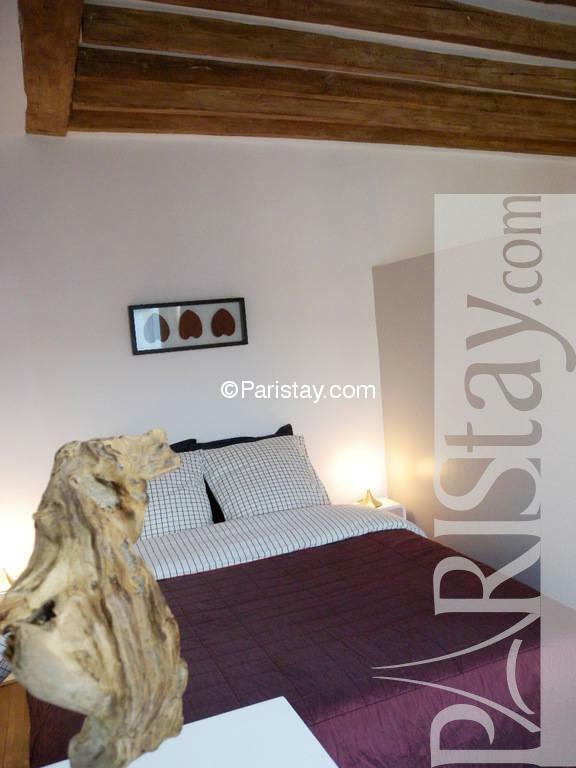 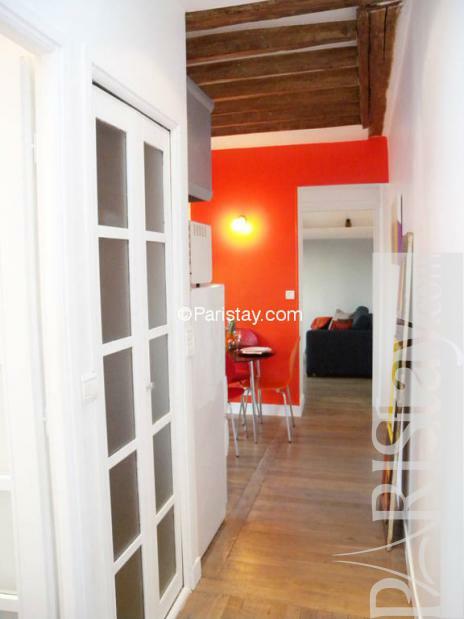 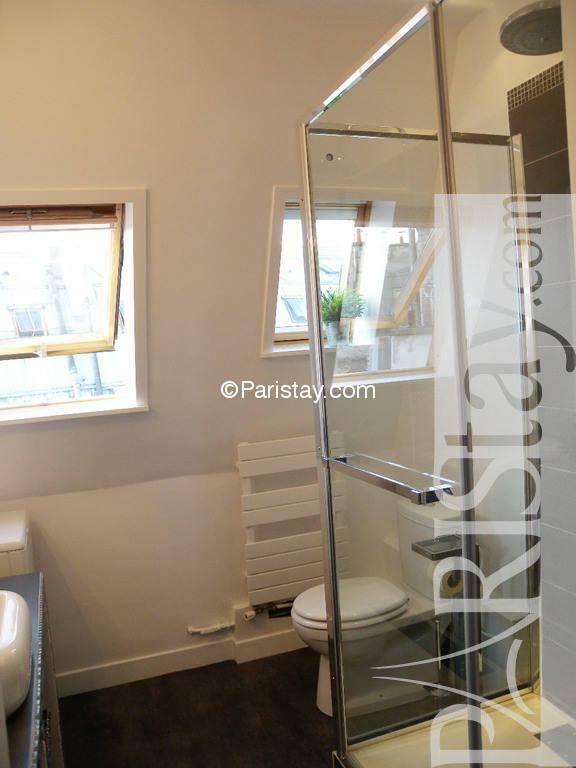 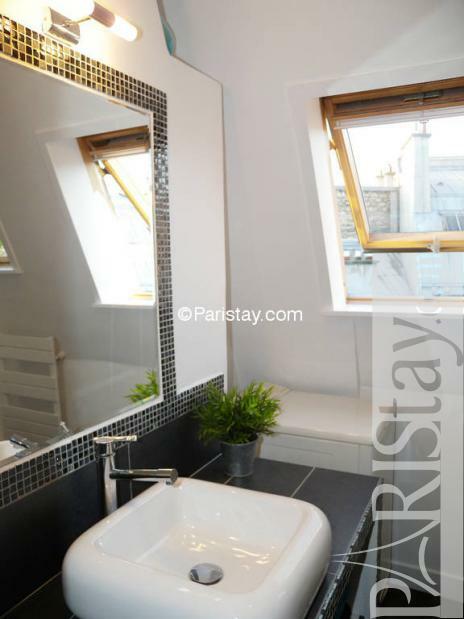 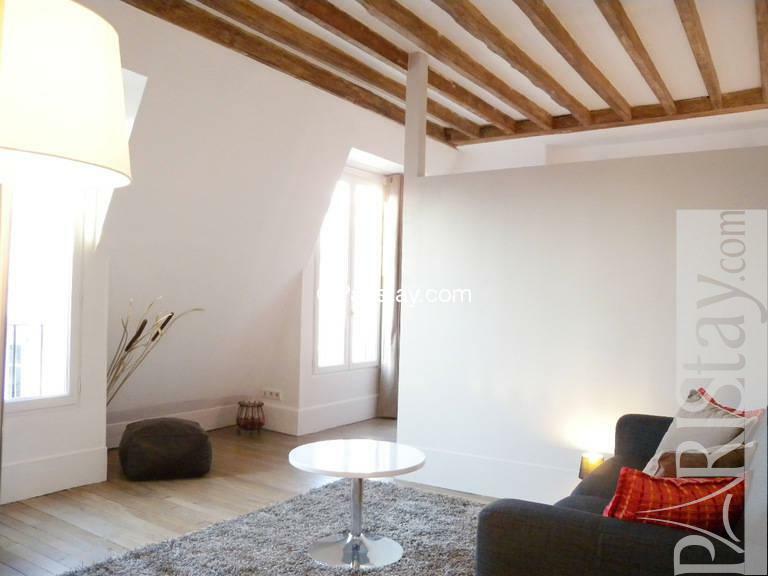 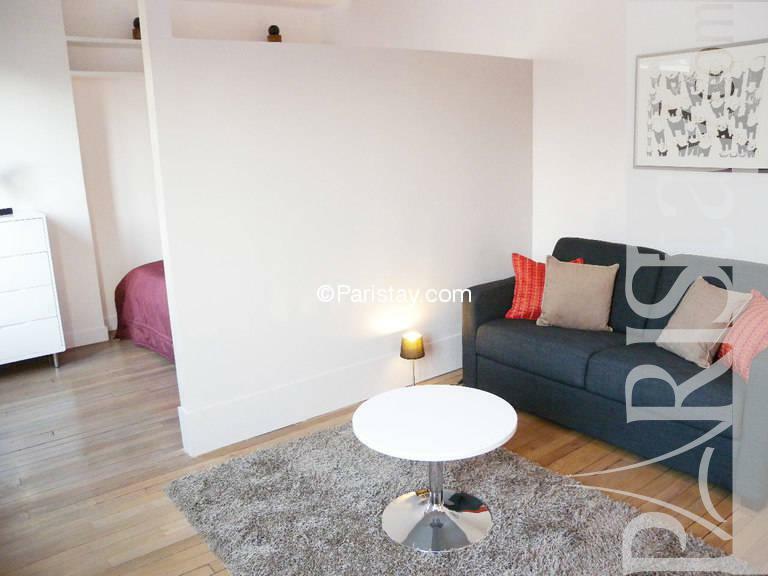 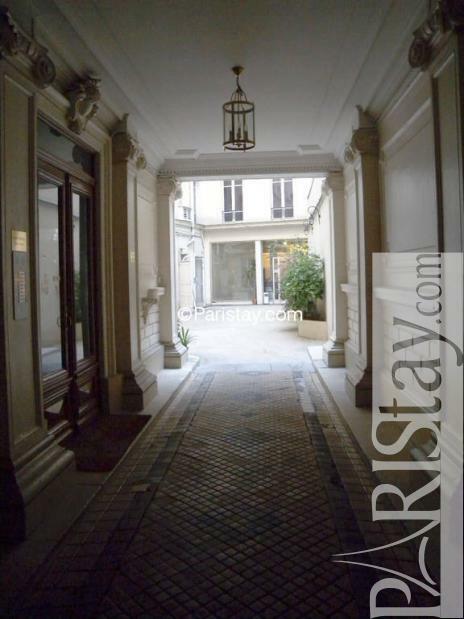 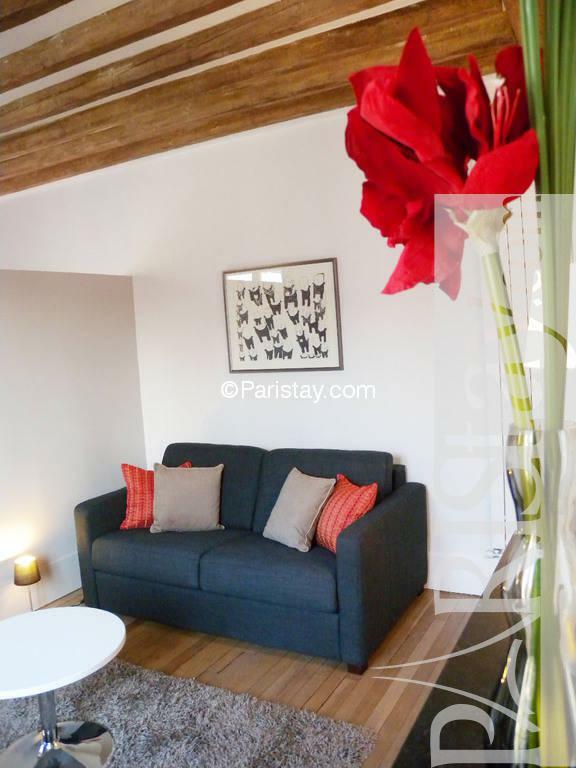 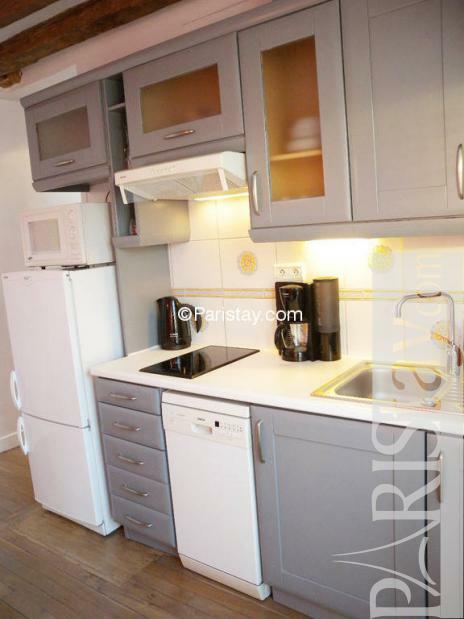 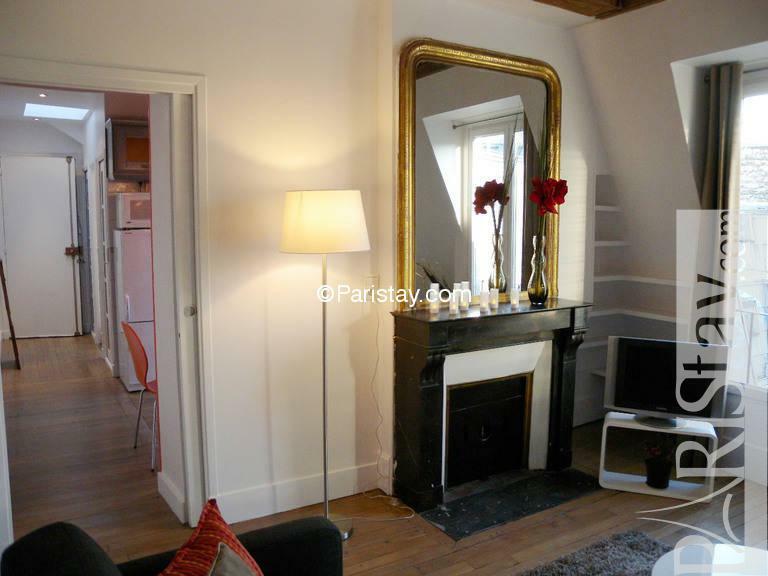 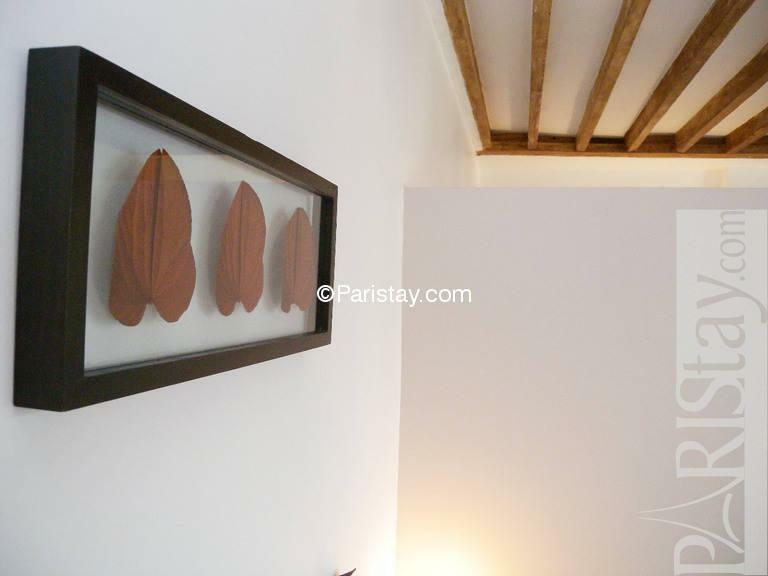 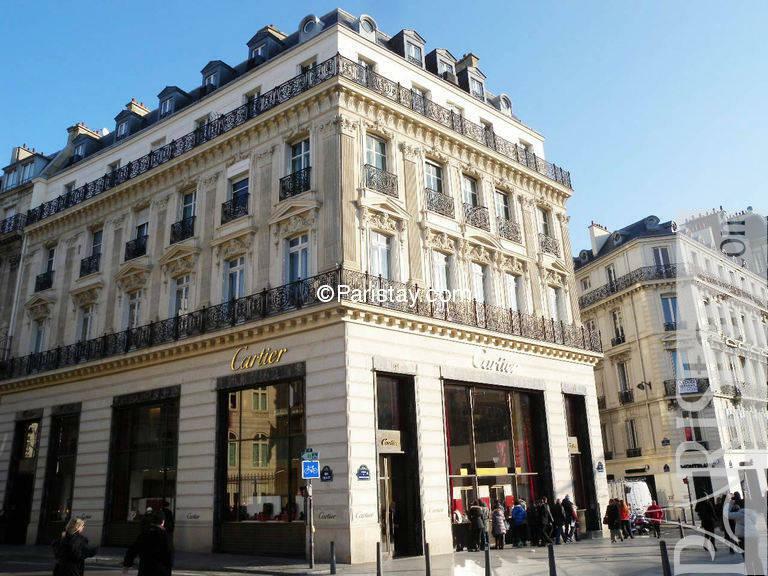 Part of the classic 19th century’s Haussmann building, this fully furnished one bedroom has all the vantages of the central location without the inconvenient noisy avenue. 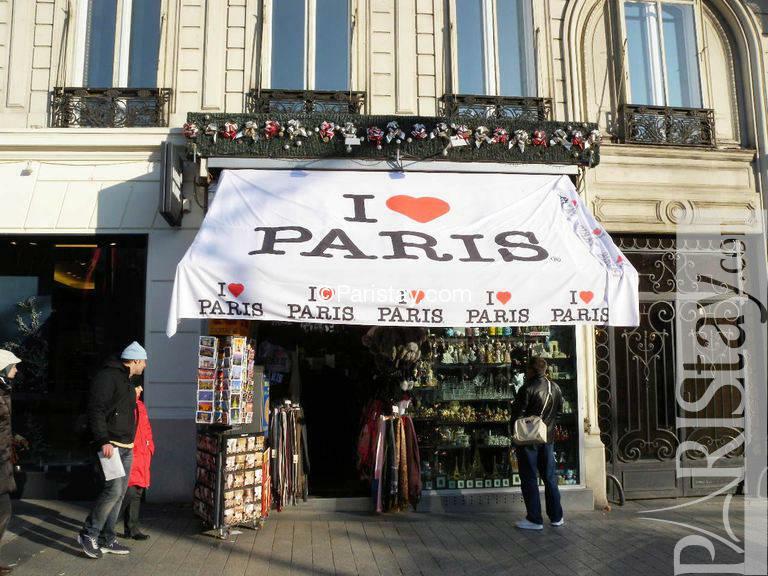 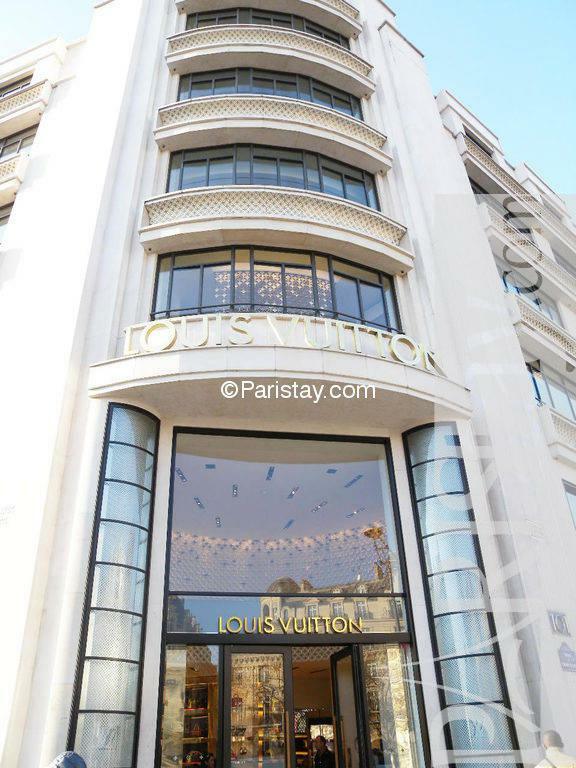 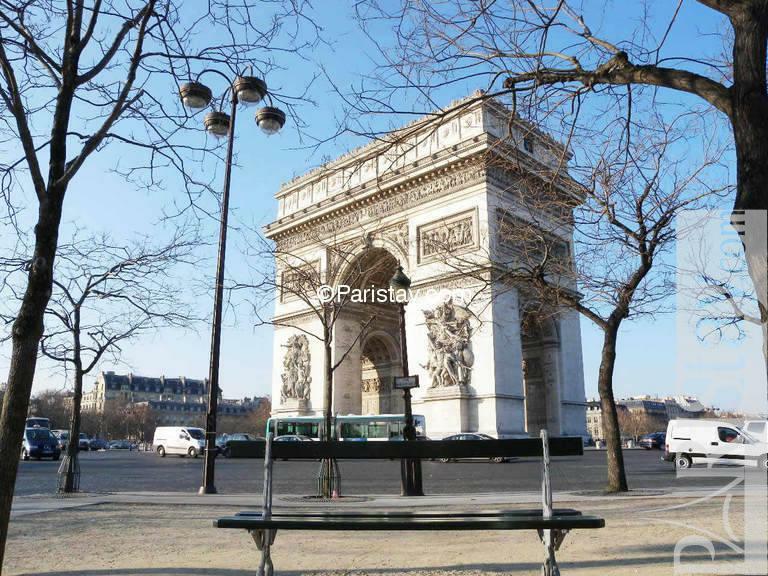 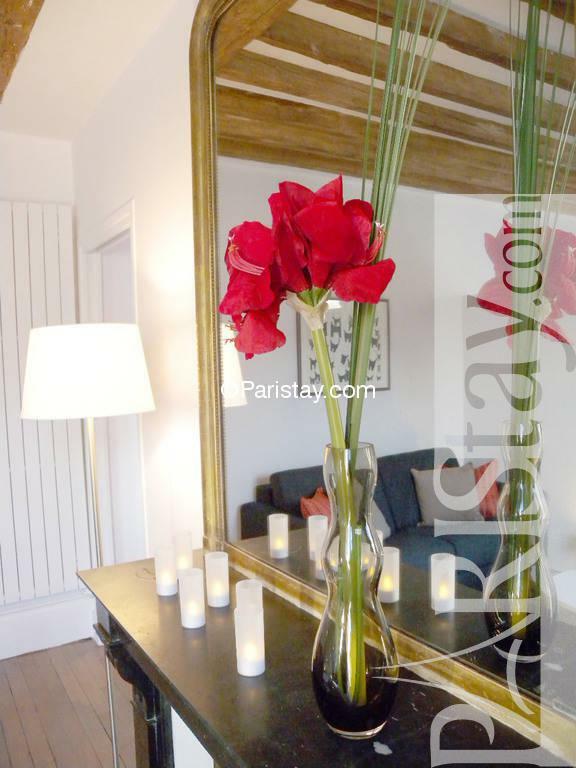 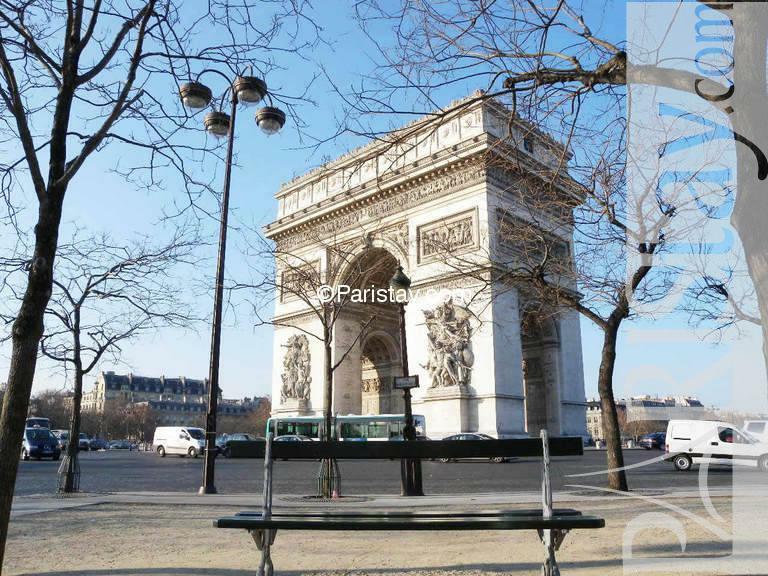 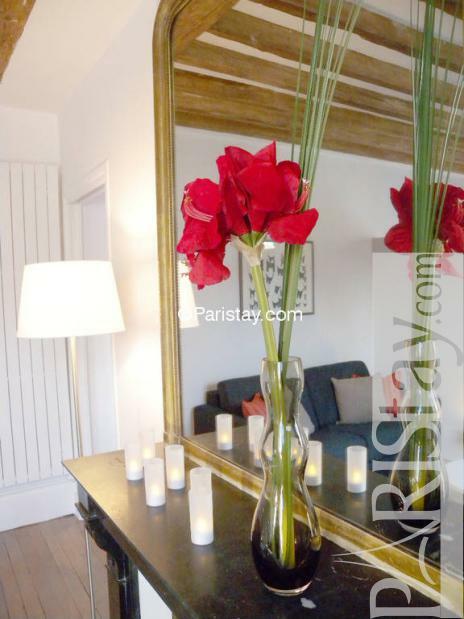 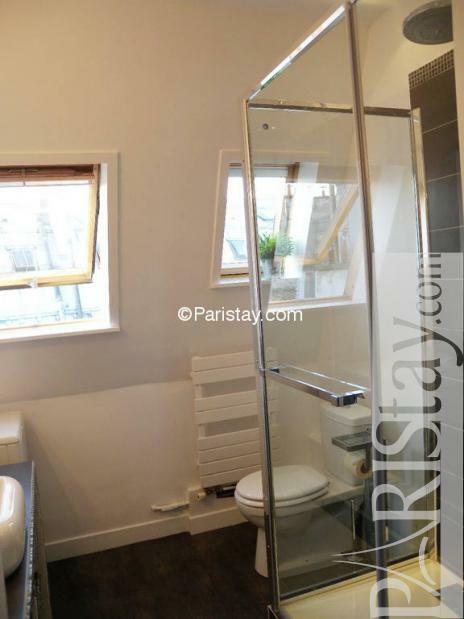 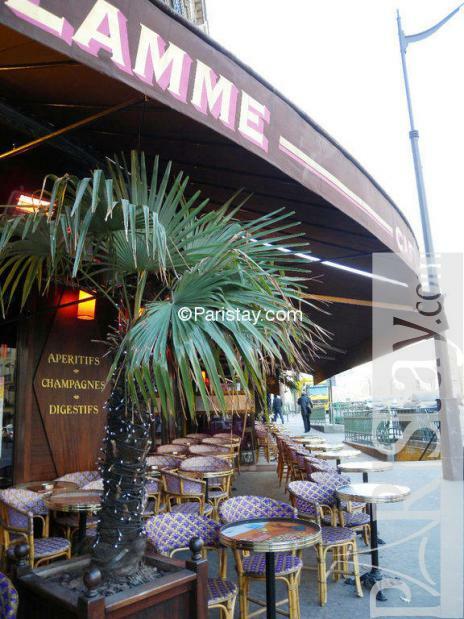 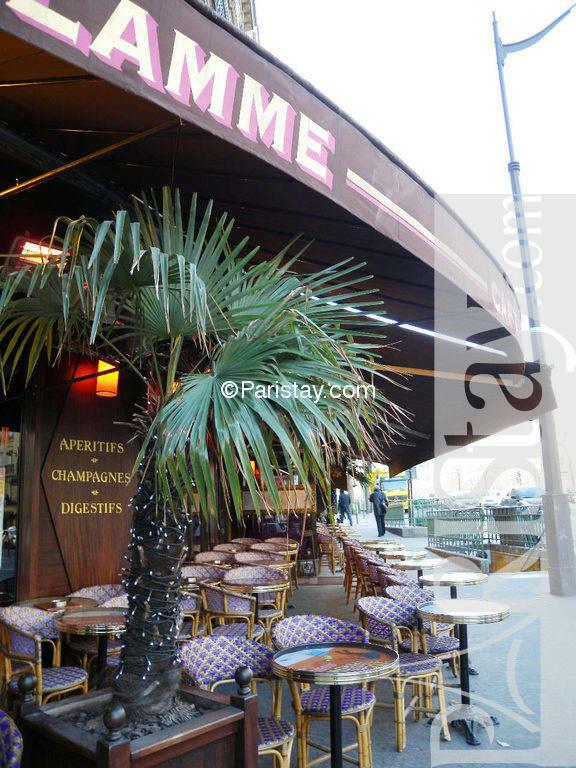 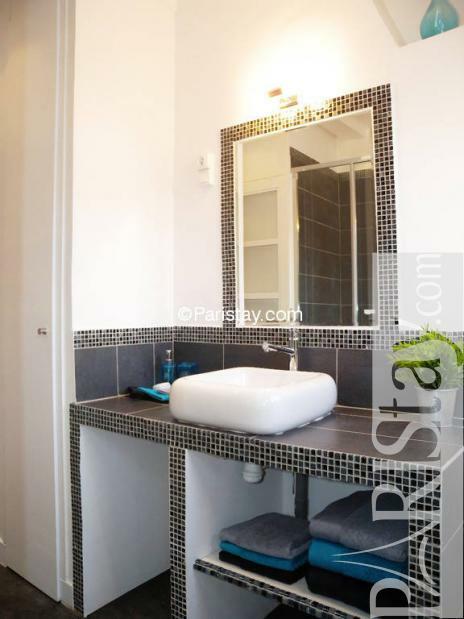 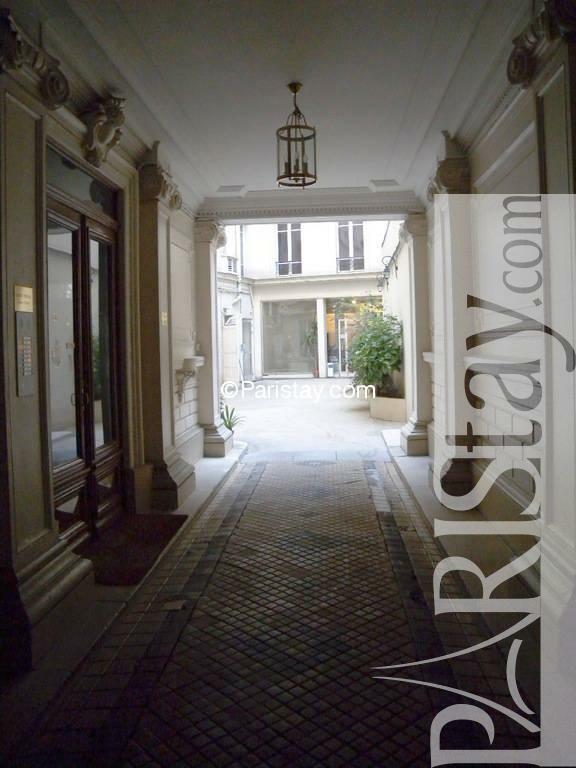 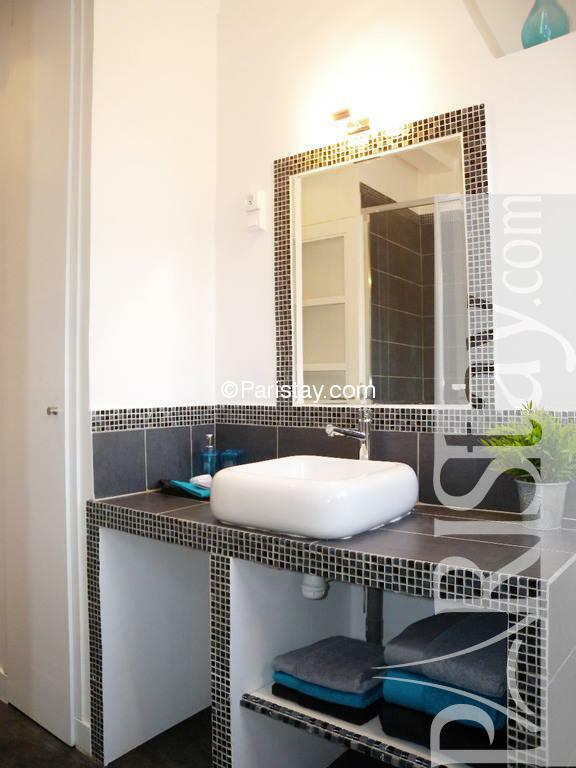 Located Between Etoile and place des Ternes two steps away from the famous Champs Elysees and the Arc de Triomphe it is perfect for a long term rental Paris. 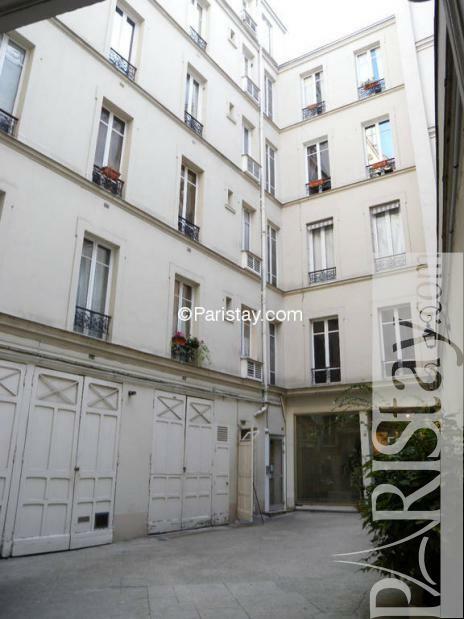 Indeed you cross a nicely flowered courtyard to get to the internal building, and go to the 5th floor with the lift. 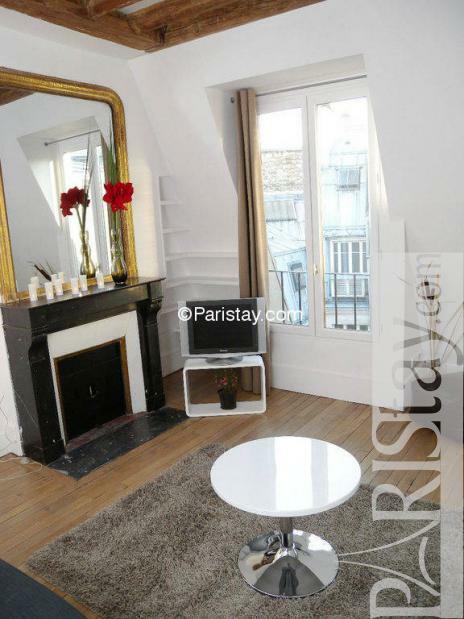 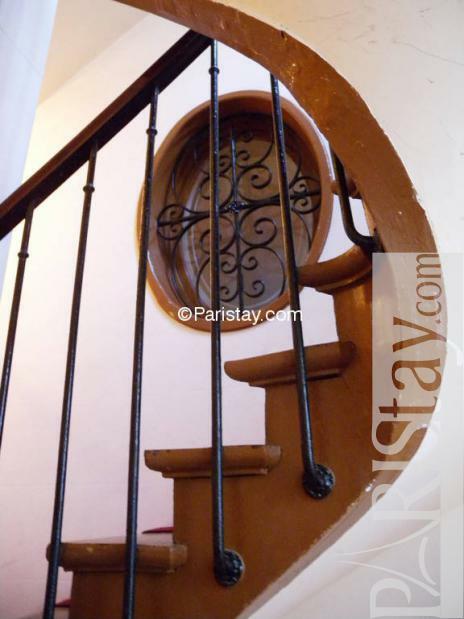 Then take a few stairs with red carpet to get to the 6th in this charming 45 sqm (485 sq ft) fully renovated apartment. 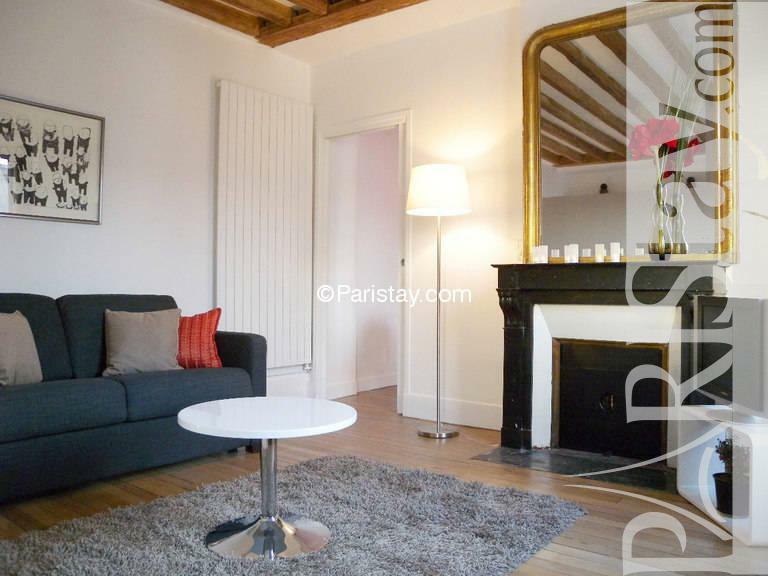 The original beams are all over the ceilings, the fireplace invites you in the salon, three big windows are facing the typical Parisian rooftops. 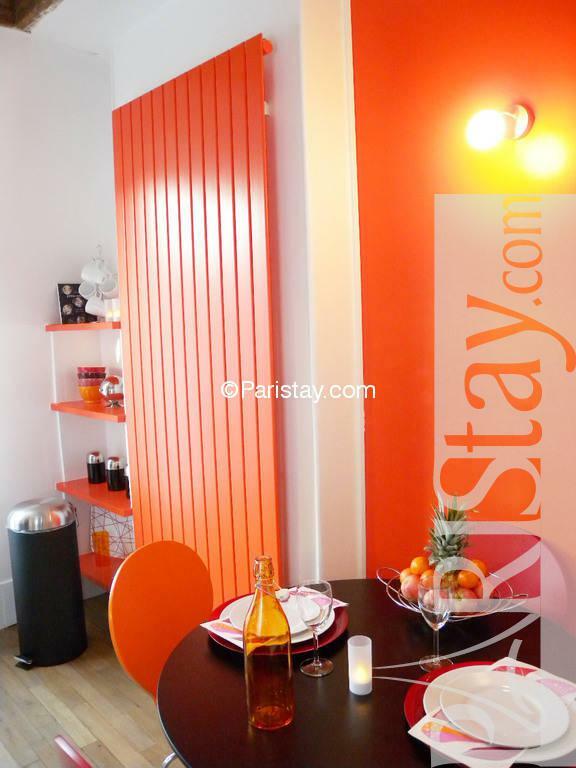 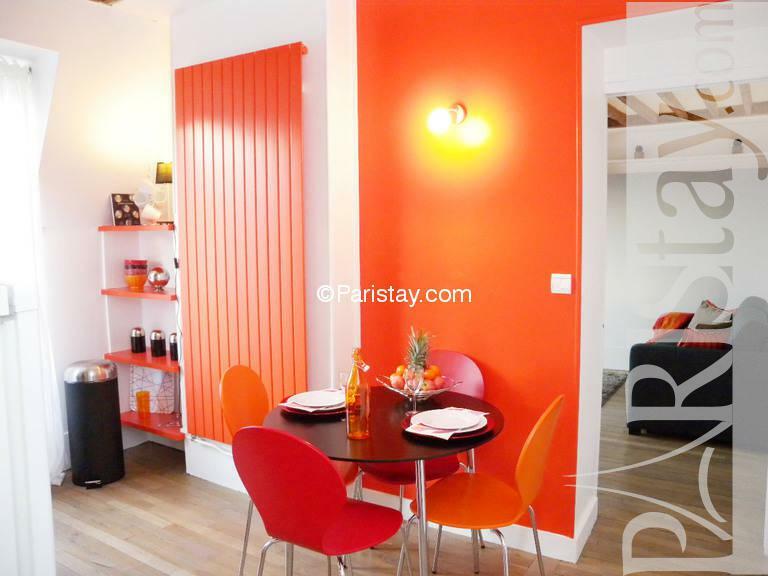 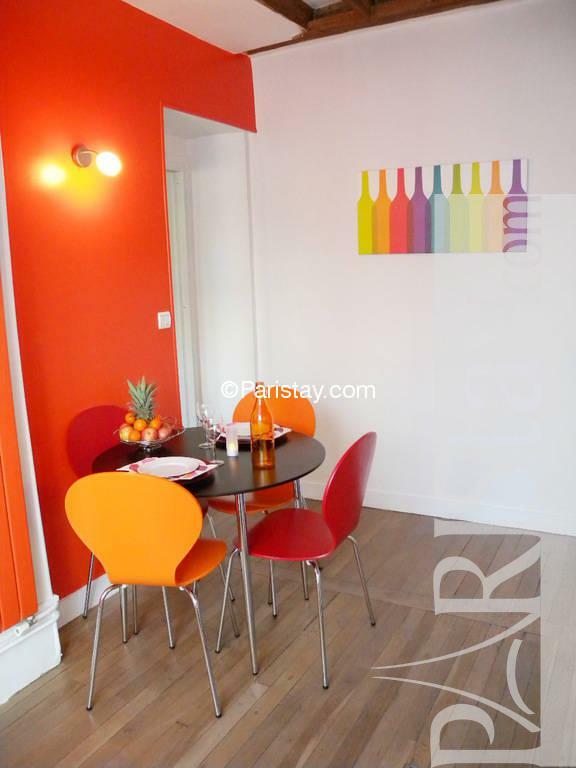 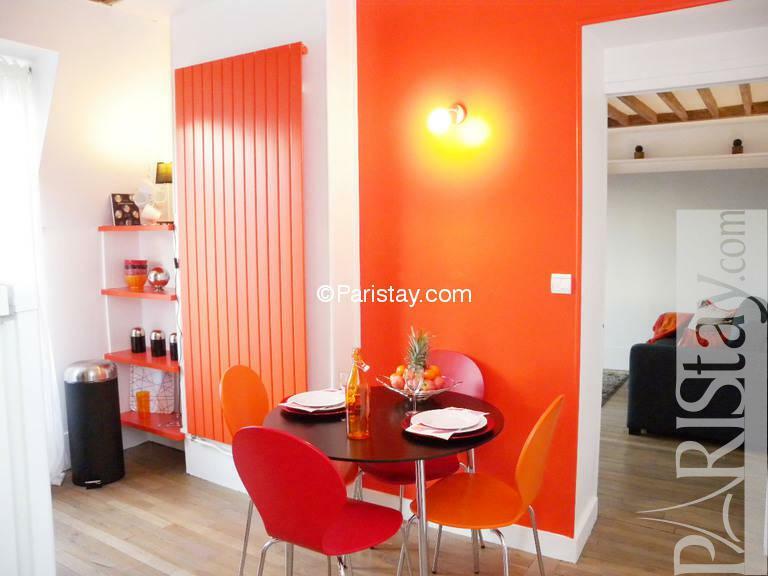 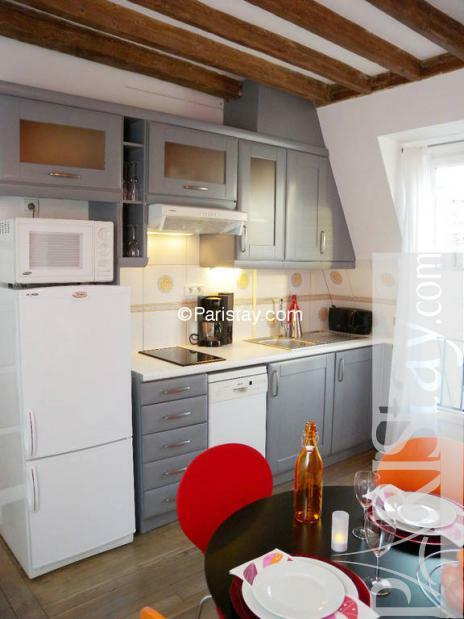 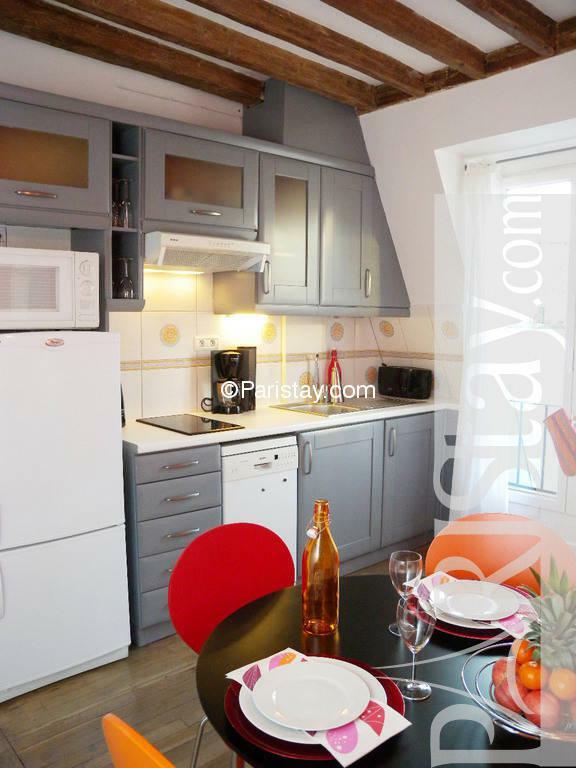 The fully equipped kitchen with its sparkling orange wallpart, helps you preapring charming dinnerparties, as it includes micro-wave convection oven, a dishwasher, a dining area for 4, plus all the utensils required to cook-in French gourmet meals if you so desire. 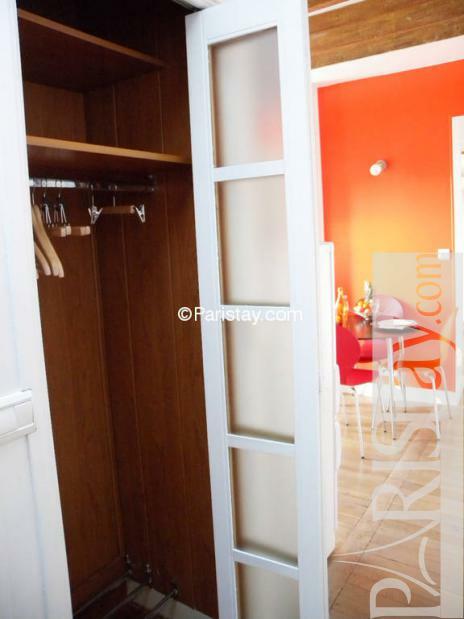 The bathroom has plenty of cabinet space for storing toiletries, a good supply of linens and items like hairdryer and basics to get you started your first days, as well as the washer with dryer. 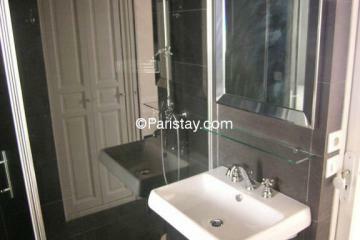 Take a shower in the evening with its blue led lamps, and enjoy the Spa feeling. 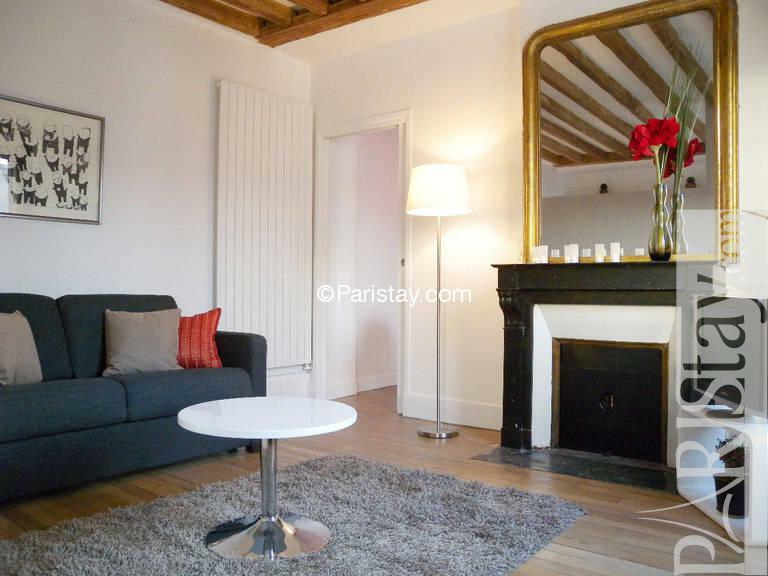 The living room with a fireplace has a sofa bed (that can sleep 2 pers. 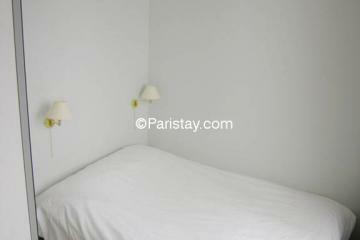 ), the bedroom next to it (separated with a wall) has 2 extra long twin beds and hotel quality bedding. 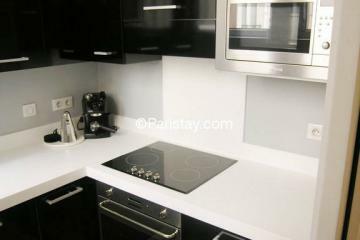 You have the use of internet, WiFi service and TV, which includes a wide selection of international channels. 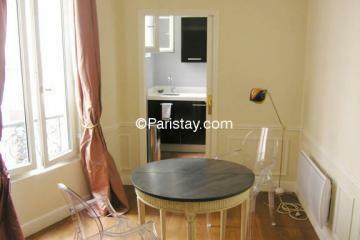 Enjoy your stay, you deserved it! 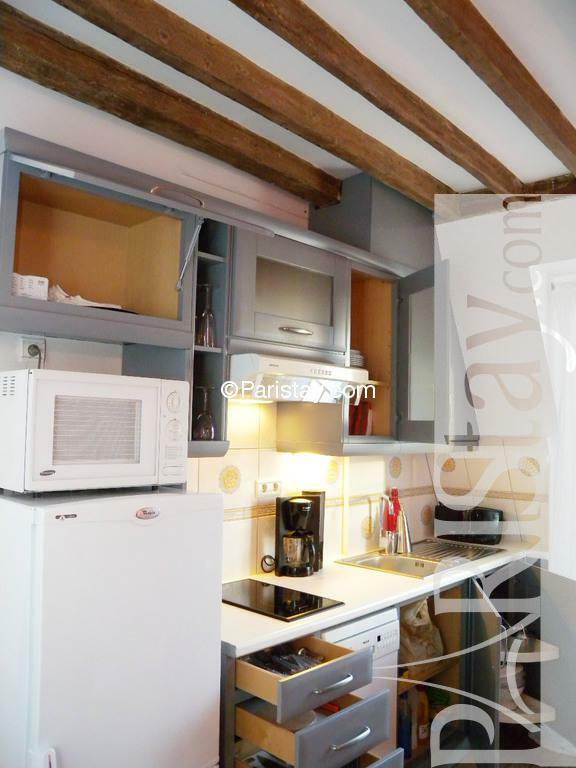 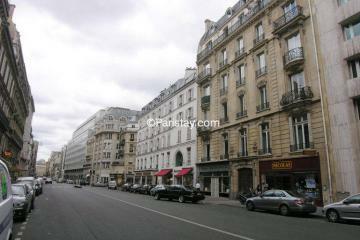 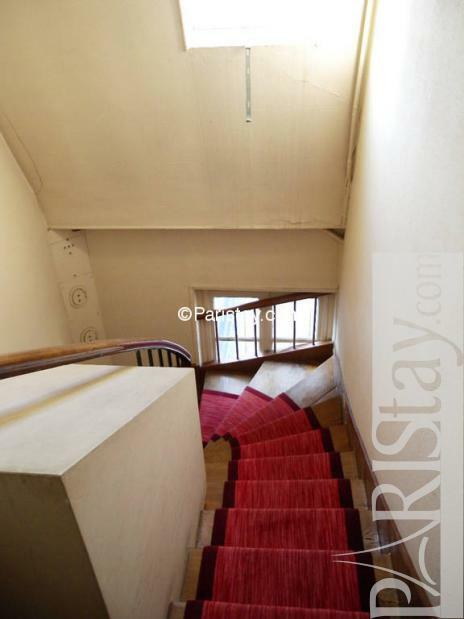 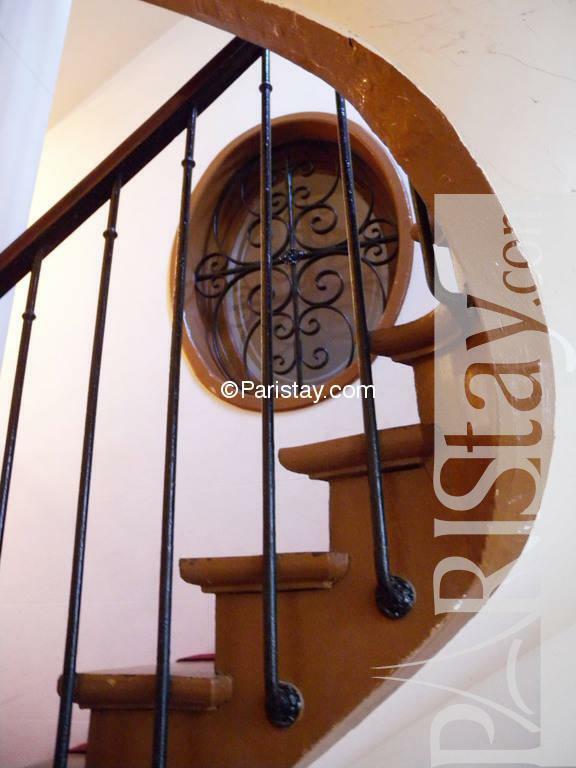 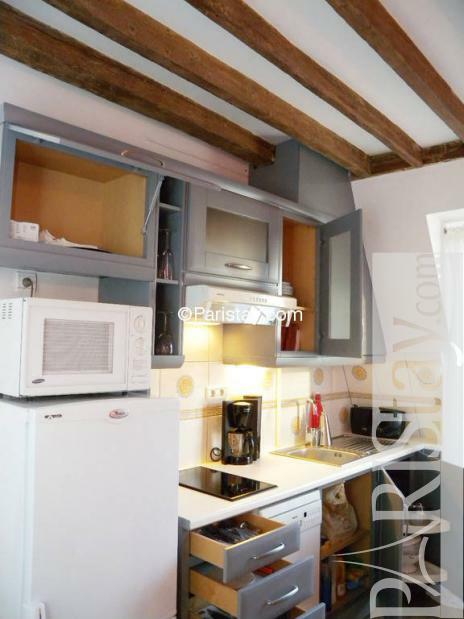 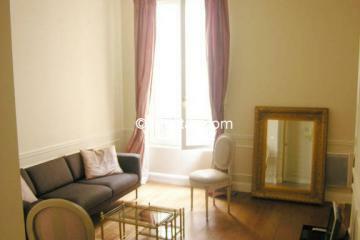 1900's Building, 6 rd floor, with Lift, entry code security system, 1 bedroom Appartement, furnished, Approx: 47m² / 505 Sq.Ft.